Some more news on Baahubali 2 trailer -- it will release across 250-300 cinema halls across Andhra and Telangana on Thursday. The trailer will be packed with action and drama, the film’s producer Shobu Yarlagadda said. 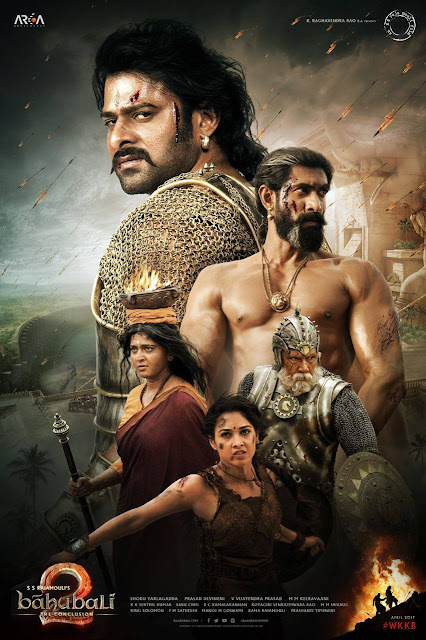 The much-anticipated Baahubali: The Conclusion trailer, which will be released on Thursday, will be 2 minutes and 20 seconds long, according to the makers. The film’s producer Shobu Yarlagadda on Wednesday shared the censor certificate for the trailer online and added that he is feeling slightly nervous ahead of the trailer launch. The trailer has been certified U/A and it will be screened in around 250-300 screens across Andhra and Telangana on Thursday. “The trailer will be high on action and drama which have been used in right proportion to leave everybody in awe. The visuals will be epic and will send expectations sky high ahead of the film’s release next month,” a source told HT. On Thursday evening, the trailer will be released on YouTube. However, it’s going to be tough for the makers to stop audiences from recording the trailer on their mobiles while watching it on the big screen and leaking it. A sneak peek from the trailer of Baahubali 2, released earlier this week, has already gone viral. It features a bleeding Prabhas and a fitting background score to ramp up the excitement. Meanwhile, we have also learnt that the film’s audio launch is expected to take place later this month.